Chaia | Gluten Free D.C.
What I got: Market trio: Smokey zucchini with Chevre, market mushrooms with feta and red sauce, creamed Kale with roasted poblanos. All tacos are made with homemade corn tortillas, and the veggies tasted incredibly fresh. Because the ingredients are sourced from local farmers, the options are different depending on the season. 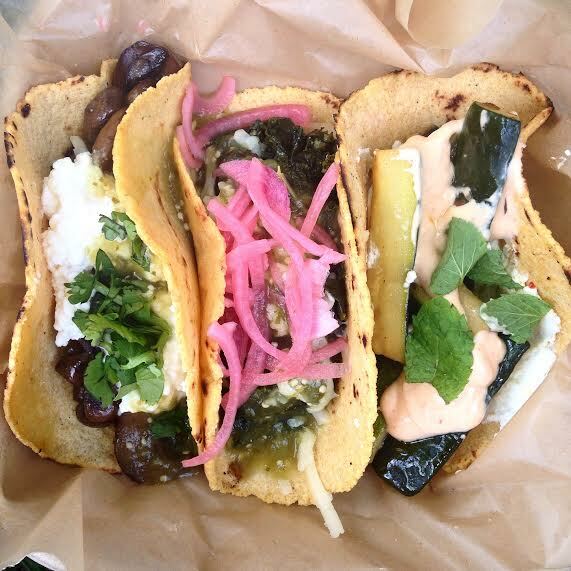 Gluten-free friendliness: Tacos are usually a safe bet since they’re made with corn tortillas more often than not. These homemade corn tortillas are especially delicious. Overall vibe: Everyone working at the farmers’ market stand was super friendly and happy to talk about the business. The tacos were 3 for $10 and stuffed with veggies and cheese, making this an affordable and filling meal. Chaia has plans to open a permanent location in Georgetown this summer. I’m excited to check out the atmosphere and (hopefully) expanded menu. Gluten-free gut reaction: Going back tomorrow. 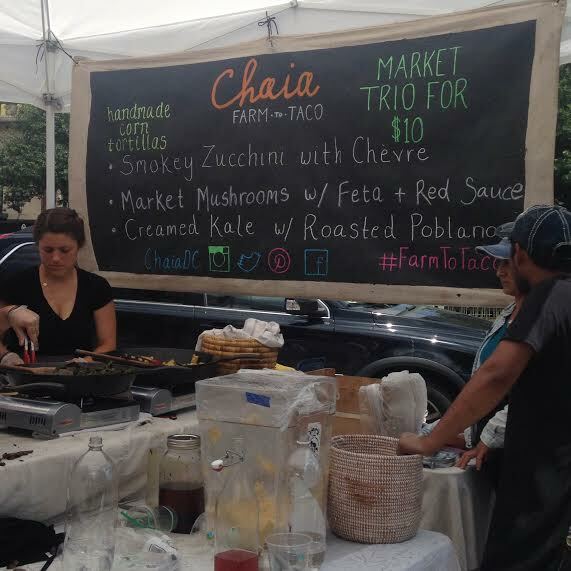 This entry was posted in DuPont and tagged Chaia, DC, gluten free, GlutenFreeDC, Lunch, Tacos. Bookmark the permalink.